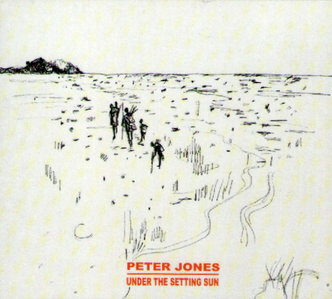 This is the third release by Peter Jones, following on from his well-received 2013 debut ‘One Way Ticket To Palookaville’ and 2015’s ‘Utopia’, which documented how Jones, by his own account ‘fell under the spell of Mark Murphy’. This recording reunites Jones with Angilley and Giovanni, his regular piano and drum team, in a set of original compositions by Jones and Trevor Lever. Contemporary jazz vocal albums are a bit of a rarity; the tendency is either to take a brave tilt at the classic repertoire in strictly traditional Sinatra-esque setting, or to move towards a pop style with only a tangential relationship to the tradition, a la Norah Jones. Mr Jones does neither but instead presents a set of eleven original compositions in a range of carefully arranged small-group settings, using a retro musical vocabulary of which Murphy would surely have approved. There’s a suave lounge-style bossa in ‘Island Honey’, eminently suited to Jones’ warm baritone, a poised, hipply understated ballad in ‘Doggerland’ , acoustic funk in ‘Baby and Hog’ and finger-clicking swing in ‘If Not Now, When?’ driven by Giovanni’s superlatively grooving brushwork. The latter tune also allows the excellent band to show off their authentically boppish jazz credentials - Xenopolous in particular is a well-chosen foil for Jones, with his crisp economical phrasing and impeccably swing. Jones is also a journalist and the lyrical subjects range far and wide - “A Voice That’s Low, A Voice That’s Sweet’ is surely a tribute to to Murphy as well as humourous diatribe on the noise levels of modern urban living, ‘Doggerland’ imagines the plight of a Mesolithic family forced to abandon their hunting grounds due to rising sea levels in the last glacial period, ‘Baby And Hog’ remembers a pair of Harlem hoofers from the 1940s, and ‘Your Secrets’ contains a lyrical nod to Sandy Denny and a lush multi-tracked vocal harmony in a wistful paean to an absent lover. The mood is deliberately low-key and late-night but doesn’t suffer a loss of intensity or conviction as a result. If Jones’ vocal skills don’t quite match those of Murphy in terms of pitch and control, the unaffected sincerity of his delivery and the tasteful restraint of the compositions win out to make this a very engaging listen, and Jones’ refreshingly personal approach is a welcome addition to the field.